Introducing the Kitty-Pedic™, the orthopedic designed pet bed for cats that uses the highest quality USA memory foam to give your cat the best combination of support and comfort available in a pet bed. We use one inch of the top layer 4lb. memory foam, followed by the more dense and firmer 5lb. memory foam. We follow this up with a 2 inch orthopedic grade polyurethane base layer foam for the most comfortable and supportive pet bed on the market. Choose from our three styles that come in round, rectangle and the cuddler with side walls. 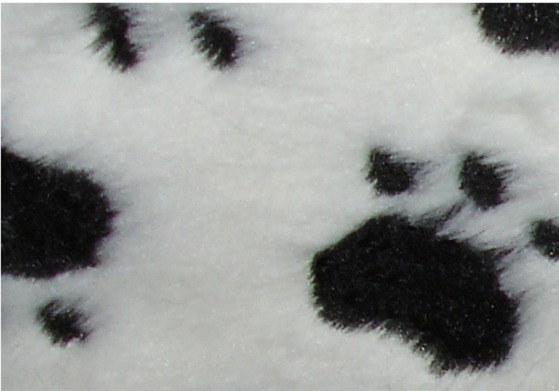 The two prints we offer are high quality and ultra-plush black and white paw print and animal jungle print for a stylish look that will pamper your pet in serious style! 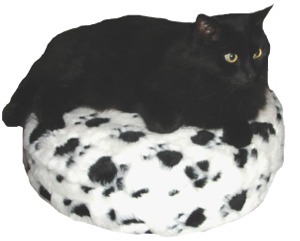 We are so convinced that your cat will love this bed and get the very best orthopedic support, that we are offering a 30-day trial with a full purchase price refund if you are not completely satisfied! We won't even charge you a restocking fee if you return the bed. Our top-rated Better Business bureau rating, along with our stellar online reputation can give you the confidence to know that you are dealing with a high quality company that cares! Unfortunately, our wide selection of cat beds cannot cover every need. That is why we are proud to offer custom cat beds designed for your needs to fit any application! 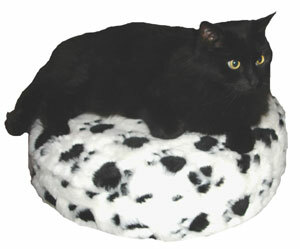 Simply click here to be taken to our custom cat bed page or call our toll-free customer support line at 800-667-1969! Please select the Kitty Pedic size and cover option that is best for you. 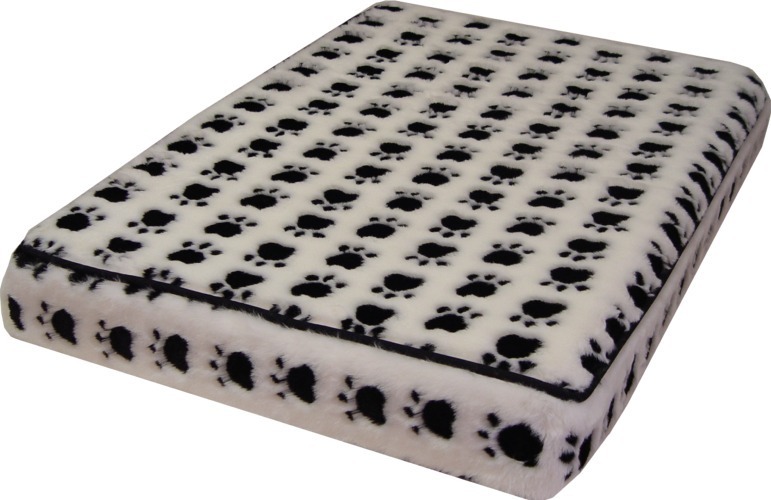 The black-and-white cover is perfect for darker or lighter fur colors as well as your black and white colored pets. 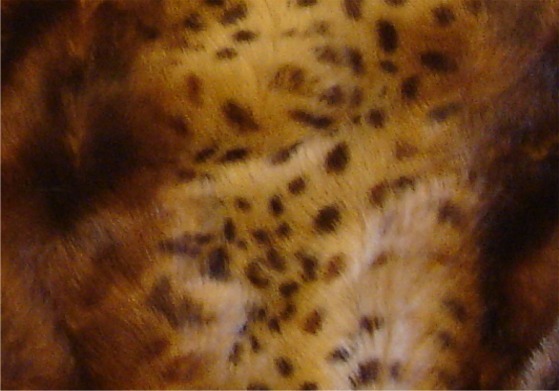 If your kitty is a calico or tabby, or any multi-colored variety, the animal print cover may best option for you. 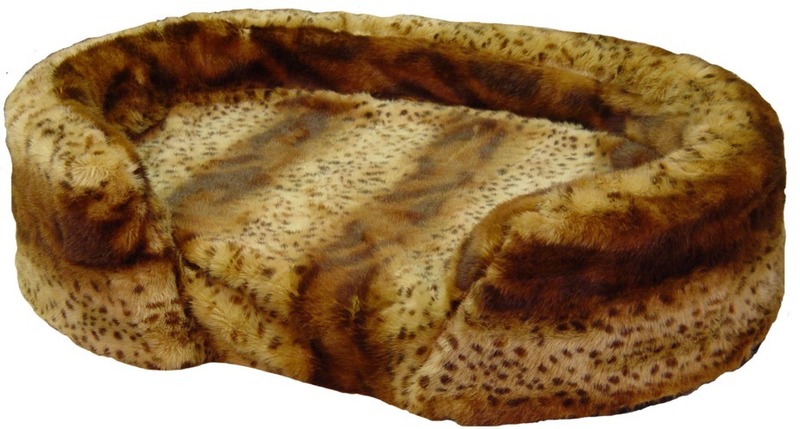 Both the paw-print cover and the animal-print cover are zipper-removable for easy cleaning and care. See our Kitty Pedic sizing chart for more information or click on any picture below for a larger version. Don’t see the size were looking for? We can help! Call us at 1-800-667-1969 and let us customize a unique bed for your unique pet! Just give us provide us with your custom dimensions and we'll make the bed for you!